Dr. Joy Jordan-Lake presented on her book, Blue Hole, Back Home: A Novel, which is the 2015 Honors Common Book on October 23 to the entering Honors program class. Blue Hole won the 2009 national Christy Award for a first novel and was selected as the Common Book for Baylor University, Amarillo College, Regis College, Eastern Mennonite University and many others. Inspired by actual events from Jordan-Lake’s teenage years, the book explores the tensions and violence that erupt in a small southern town when a Muslim Sri Lankan family moves in. Dr. Jordan-Lake holds a Ph.D. in American literature from Tufts University in Boston. 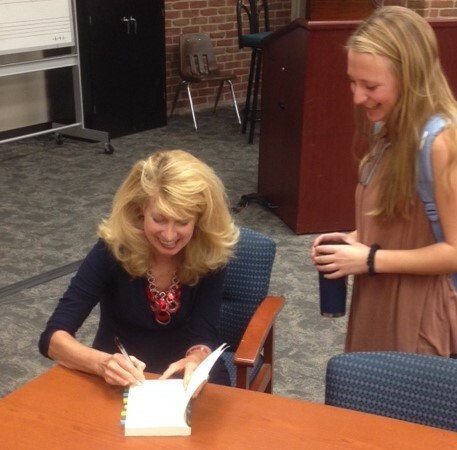 She is the author of five other books, plus the Belmont University 125th Anniversary History Book, and is an adjunct faculty member in the Honors Program.